A fantastic comic strip, 8 pages (plus covers) with Herb Trimpe artwork on the front (see above) and rear cover. 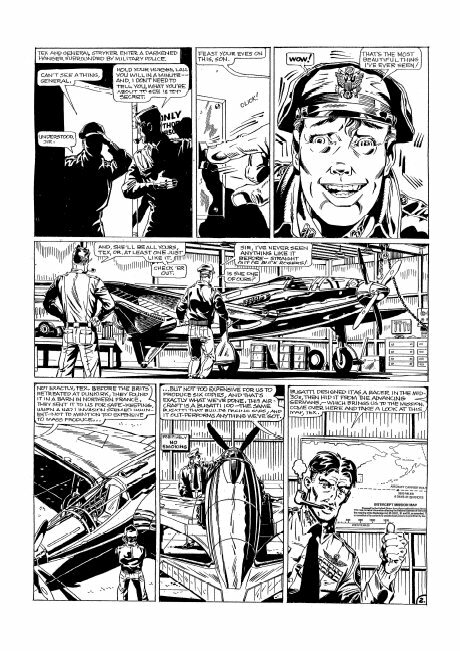 Also provided is data on the author / artist, as well as on the Bugatti. 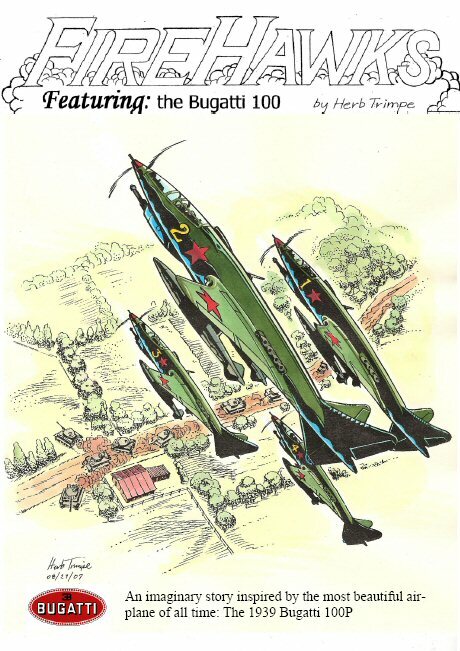 On the rear there is one fantastic reproduction of a pencil drawing picturing the Bugatti 100P in full action. This one is worthy of framing to be able to look at it all day!